Imagine a studio 30 kilometres across, moving from day to day within 40,000 sq-km of Namibian desert, and where the nearest computer shop is a 120km drive. A production on which the director wanted to watch every camera live, and needs two high definition TV channels so he can edit while driving between locations. Where more than sixteen channels of sound had to be recorded multitrack in a moving vehicle to get authentic atmos and motor sounds. Where over thirty Canon 5D cameras were blown up or otherwise destroyed in the name of art. That was Mad Max: Fury Road. 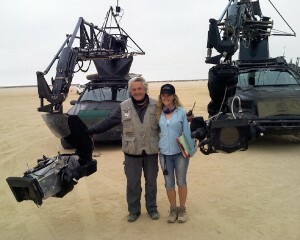 In a world where most directors would be happy with one Arri Alexa, Director George Miller had eight Alexas all running at once. 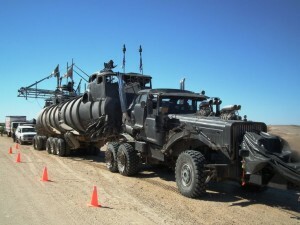 Only twelve of the massive Edge Arm camera vehicles exist in the world, and two of them were on this shoot, looking almost as weird as the vehicles created for the film. 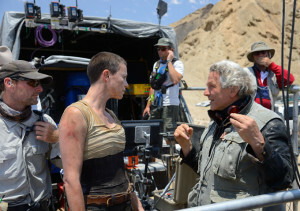 George Miller wanted to see everything as it happened, and that required a massive radio network to cover the terrain. He wanted authentic sound recordings from vehicles that had no room to take equipment or operators. Mad Max: Fury Road presented enormous challenges to bring to the screen. 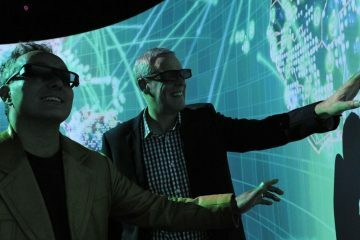 On Monday 7 March, SMPTE Australia Section in collaboration with the ASSG will bring together some of the technologists who demonstrate why Australian crews are in demand. Jack Swart (Senior RF Specialist), Greg Roberts (Lateral Linking), and Oscar winning Ben Osmo (head of the sound department) will be joined by special guests to talk about what happened behind the scenes to create episode four of the Mad Max franchise. When and where: last call – only a few places left! Who and how? Register here!! 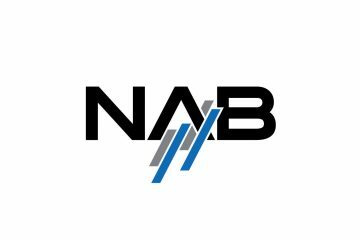 Registration is free for SMPTE members, industry folk and guests – but you definitely need to tell us that you’re coming or you’ll miss out on the catering.